In a decision released Wednesday, Justice Anne Mactavish ruled an international arbitration panel "did not exceed its jurisdiction" when it found Canada at fault and liable for damages under investor protections contained in the North American Free Trade Agreement. Canada had asked the court to set aside an award from the tribunal convened by the Permanent Court of Arbitration — an intergovernmental organization — that it is liable for damages to Delaware-based concrete company Bilcon. The company is seeking $443 million US (about $570 million Cdn) in damages for lost profits after its proposal for a 152-hectare quarry and marine terminal on Digby Neck was rejected in 2008 on the basis of a flawed joint Canada-Nova Scotia environmental review panel recommendation. 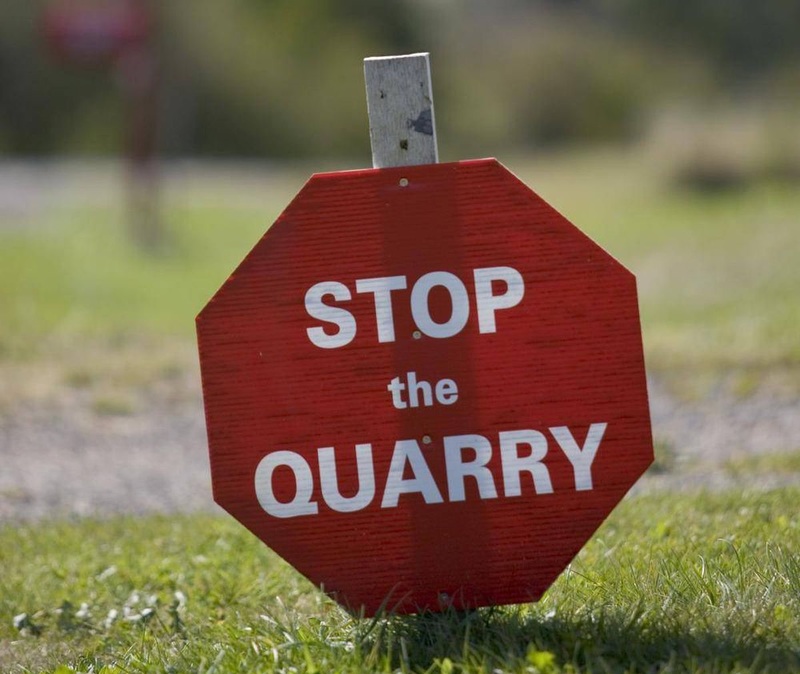 Bilcon argued it was blindsided when the joint review panel found the quarry project violated "community core values," a concept not raised in the 2007 environmental assessment hearing. In a two-to-one decision, the tribunal found "community core values" was not a "rational government policy" and was at odds with the Canadian Environmental Assessment Act. In January 2018, lawyers for the federal government argued the Canadian courts, rather than an international tribunal, are the appropriate forum to redress problems with a joint review panel. The case has raised widespread concern over whether Canada will be able to enforce its own environmental laws and protect Canadians from potentially damaging projects. On Wednesday, Bilcon issued a statement saying it "welcomed" the Federal Court ruling that it was the victim of discriminatory treatment. The release said Bilcon’s owners, the Clayton family of New Jersey, "invested in a sham environmental process for which the outcome had already been predetermined." "During the critical NAFTA discussions currently underway between Canada and the U.S., the Claytons’ case is a cautionary tale to both U.S. and Canadian investors that expect reciprocal and fair treatment in both countries," the company stated. The Sierra Club Canada Foundation, which intervened in the Federal Court of Canada case, had an entirely different reaction Wednesday. "It’s a pretty stunning decision," said Sierra Club national program director Gretchen Fitzgerald. "I guess I’m pretty shaken, I have to say." She said the ruling shows that under NAFTA, corporate interests are placed above local environmental protections. "Everybody in Digby and eventually in Nova Scotia knew this was a bad project — in the wrong place, wasn’t appropriate and placed the environment at risk," Fitzgerald said. But Mactavish agreed with Bilcon that the international tribunal was entitled to consider the conduct of the joint review panel that effectively killed its Nova Scotia quarry proposal. "I find that the tribunal made a factual finding of arbitrary conduct and applied customary international law in determining whether Canada violated the minimum standard of treatment for the purposes of Article 1105 of NAFTA," Mactavish wrote in her 63-page decision. Mactavish acknowledged the tribunal’s finding of Canada’s liability for damage "raises significant policy concerns." She identified those as "the ability of NAFTA parties to regulate environmental matters within their jurisdiction, the ability of NAFTA tribunals to properly assess whether foreign investors have been treated fairly under domestic environmental assessment processes and the potential ’chill’ in the environmental assessment process that could result from the majority’s decision." Even so, she concluded that Canada did not satisfy its obligation to provide Bilcon with fair and equitable treatment under NAFTA. She said the tribunal had established that Canada’s treatment of the investors was discriminatory and differed from the treatment that would be given to similarly situated Canadian investors. "Canada has thus not established that the decision of the majority deals with a dispute not contemplated by or not falling within the terms of the submission to arbitration, or contains decisions on matters beyond the scope of the submission to arbitration," Mactavish wrote. Mactavish heard the case in Ottawa in January. While she pondered her decision, the NAFTA case proceeded to the next phase in Toronto in February. The tribunal heard arguments over how much money will be awarded to Bilcon for damages. The company is seeking $443 million US in lost profits on two million tonnes of gravel per year for 50 years — the estimate of the life of the quarry at Whites Point on Digby Neck. The government of Canada rejects the claim and had little response Wednesday to its Federal Court defeat. "We are aware of the Federal Court decision and are reviewing it," spokesperson John Babcock of Global Affairs said in an email. "Canada is also awaiting the tribunal’s award on quantum of damages, which will likely not be issued before the end of 2018."